The use of packing paper depends on the availability in the local area. Blue orchids have a long and confusing history. On this special day of yours gift your loved ones something special and also make them feel special. 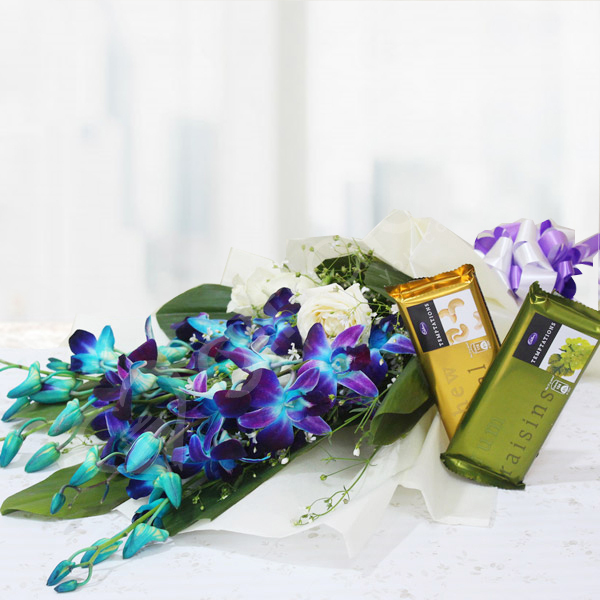 This time gift them this bouquet of blue orchids and white roses and make them feel delighted. Temptation chocolates that come with the bouquet add more to the sweetness of the bouquet. These orchids are very beautiful and smells really nice.Thank you for your on time delivery Giftalove!